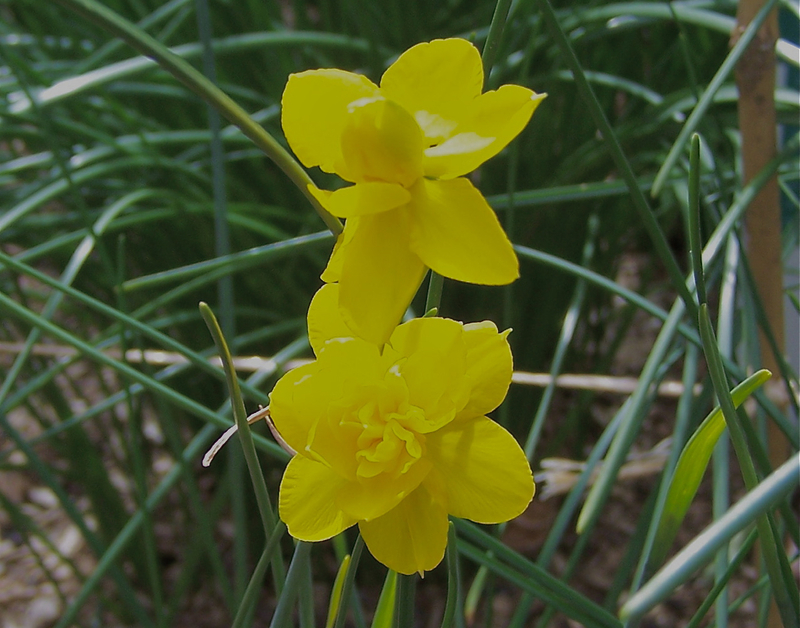 See Narcissus jonquilla L. for a description of the single form. 'Flore pleno' is a double-flowered form. [RHSD]. 'Flore pleno' was introduced to Britain from Spain in 1596. [JD]. Listed in all published catalogues [B.342/1843]. Probably the plant received per ‘Sovereign’ February 1831 under the name of Double Jonquil. [MP A2948].